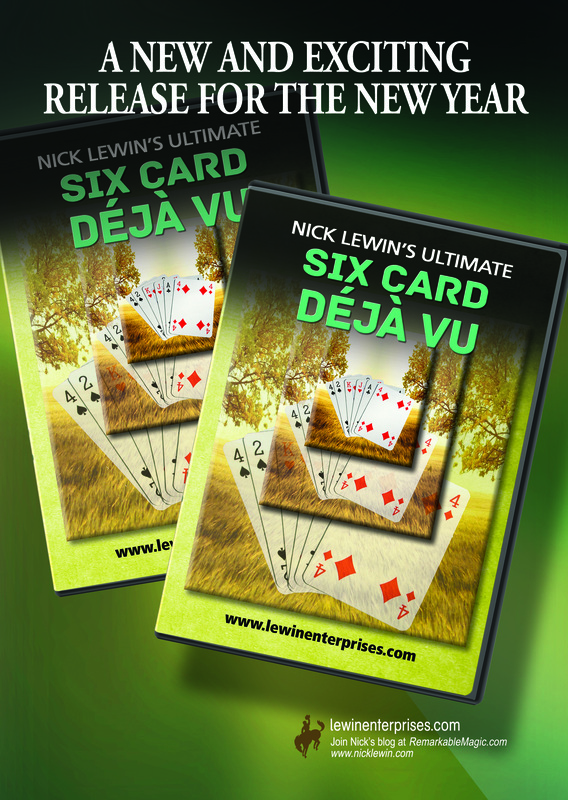 “One of the most valuable tricks that I perform is my Six Card Dèjà Vu routine. It is an adaptation of the classic 6 Card Repeat which incorporates a very effective twist in the plot line. It is a feature trick that fits in the top pocket but can be performed effectively on a big stage. It is so effective that I use it to close my second show, it also makes a great opening effect. 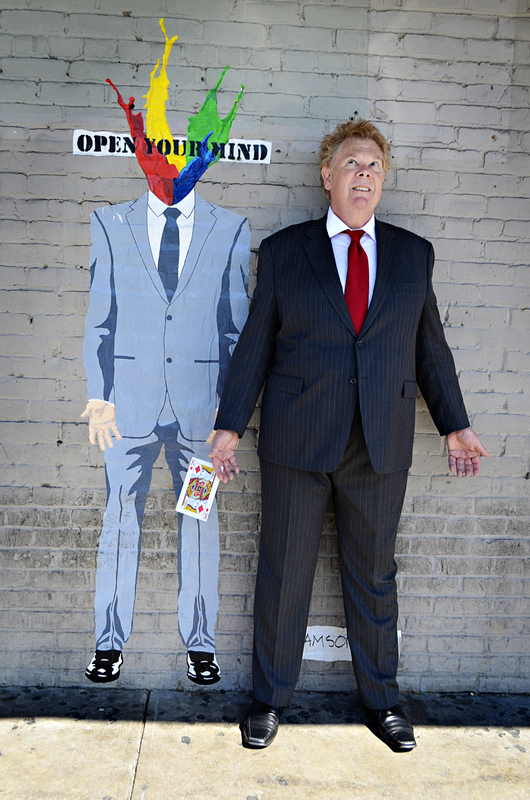 I have it in my jacket pocket every time I walk out in front of an audience.” —-Nick Lewin. Everything needed to perform this routine is included in this package, including a DVD that details every move, rhythm and detail to perform this routine exactly as Nick does it. You will be able to add this classic to your show with confidence after a minimum of rehearsal time with the many subtleties revealed on this detailed DVD. Once you start to perform it, you will find the routine a secret weapon in your repertoire. It is the epitome of the “Pack Small—Play Big” style of effect that has made Nick Lewin such a commercially effective performer. The routine is fast, funny and really packs a punch! As effective performing for kids as it is for adults, this is the kind of magic that will make you a better magician and entertainer. Nick has been performing and refining this routine for nearly thirty years and shares every detail needed to make it as big a hit in your show as it is in his. The 6 Card Repeat is a classic that has stood the test of time, here it has been streamlined and given a twist that improves audience reaction vastly. The package also includes the full script that Nick uses when he performs it professionally.